International Diabetes Federation. (2013). North America and Caribbean at a glance. In IDF Diabetes Atlas (6th ed.). Retrieved May 24, 2014, from http://www.idf.org/sites/default/files/DA6_Regional_factsheets.pdf. Sherry, M. (2007). (Post)colonizing disability. 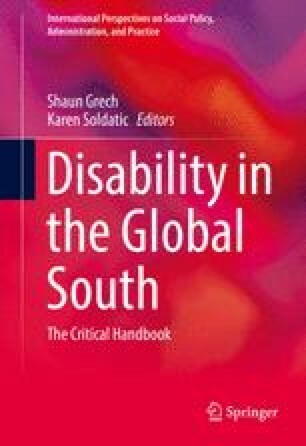 Wagadu, special issue on intersecting gender and disability perspectives in rethinking postcolonial identities, 4, 10–22. Retrieved from http://appweb.cortland.edu/ojs/index.php/Wagadu/article/view/323/609.